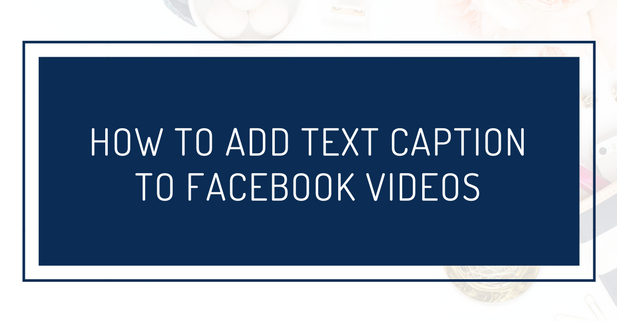 How do I add text caption to Facebook Videos? Other people in the waiting room might not be interested in my silly video. I forgot my headphones in the car. How many times do I see a video on Facebook and wish that I didn’t have to un-mute it? Better yet, Can we add text caption to Facebook videos? That’s a great question, and the answer is YES YOU CAN. Facebook is still giving free reach for videos. The free reach means that you can have more engagement on your page with videos than with a simple text or inspirational graphic post. 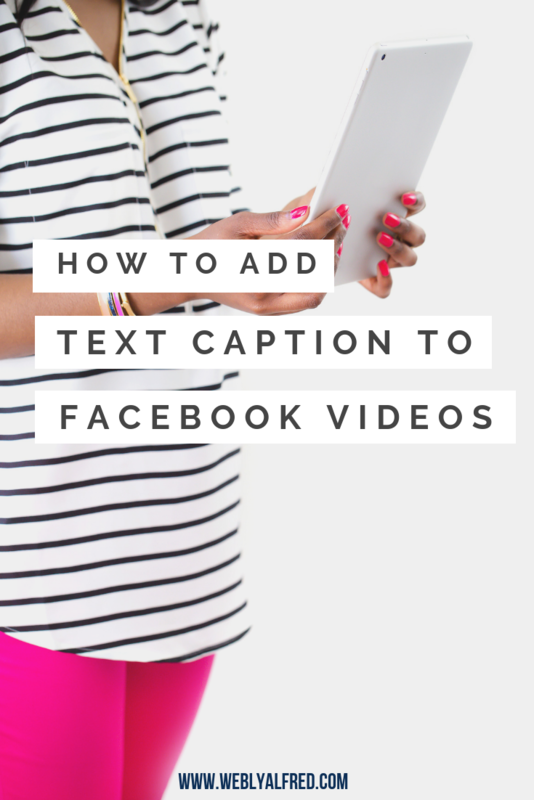 Because of that, it makes sense to add text caption to your Facebook videos as part of your social media strategy. If you’re still on the fence doing live videos, consider these reasons why you should do live videos and caption them. Facebook auto-plays videos in the newsfeed. Adding text caption will make your videos super easy to consume with the sound off. 3 seconds or more count as video view metric on Facebook. Adding text caption will certainly keep people watching longer than 3 seconds. If people watch for longer than 3 seconds, that counts as increased engagement for your fan page. 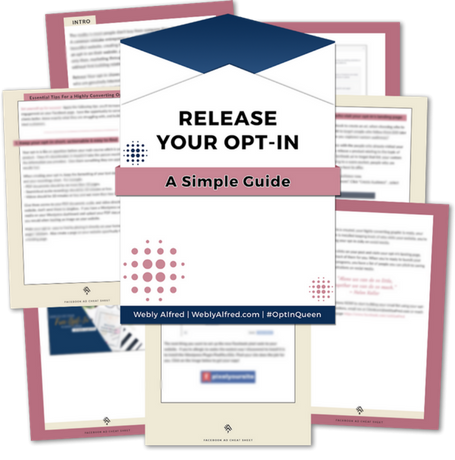 You can add a call-to-action on the caption, for instance for people to subscribe to your opt-in. The other good news is that you can go back to your old videos to add text caption. So open a separate window on your computer, choose a video to add text caption to, hit play and let’s slay this tech monster! Did you add text caption to one of your videos? Share the link in the comment so I can check it out. Thanks for the tutorial, this was great. I have been meaning to step up my game and get back to Facebook live streaming, looks like I should get on that asap! Yes get back now while it is only 1 year old. Facebook is prioritizing videos so take advantage of this. Oh, I know I need to do this. Thank you for the how-to, Webly! Good luck Susan. Also, you can always have an assistant do it for you to continue to free your time for your customers. Brilliant! On my to do list, and this will be very helpful. Thanks for the easy how to. Glad it is Robin. Let me know how it comes out. 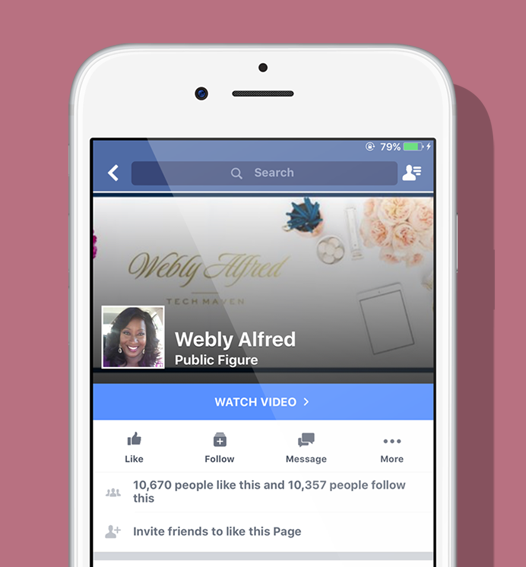 I haven’t really considered doing videos for Facebook, Webly, but you are making me want to. I’ve bookmarked this so I can follow your easy guide when the time comes. Thank you. You really should Tamuria while Facebook is still prioritizing live videos. That’s free reach for you. Go for it! This is very helpful Webly. Many times when I hear about a new process I hesitate to start because it sounds so complicated. Not here. Your instructions are so clear that’s it not intimidating at all. Now, I have to start making videos! I am glad that after watching my video it no longers feel intimidating. Yes, get on videos now while it is still early. Awesome tips Webly as I am going to be doing more and more live videos in the coming weeks 🙂 Thanks for sharing and good to know! You’re welcome Joan and good luck! This is something I’ve been waiting to do, Webly! I really appreciate your easy tutorial. Now, it doesn’t seem as intimidating as it was before. Yay! I’m going to go back and add captions to my previously published videos. Yayy. Looking forward to seeing how it comes out. Wow I did not know this yet…I will definitely use this feature. Glad this was useful to you. Yes, me too. Sometimes…or often, 🙂 I want the close caption so I don’t have to unmute. Thanks for helping to clear this up and offer a real solution! You’re welcome Teresa. It can take some time to complete but this is a great task you can also outsource to your VA. This is really a great idea. As a social media consumer, I find myself often looking at videos with the sound off because I do it while I’m in public, and there’s nothing worse than someone in public watching videos with the sound turned on. (Pet peeve – lol). I’ll definitely file this away to learn how to do! Wow, not a pet peeve for me but why not use earphones? Strange. Glad this is useful to you. I didn’t see the caption. Make sure you save twice. Once on the caption window and the second time on the video screen where you can choose your thumbnail. Oh, my! Thank you so much for this tutorial. Someone mentioned to me about buying a course just to learn this and a bit more about live videos. I am saving this and sharing with friends. Wow there is a course for everything but you and I both know the power of tutorial blogs like this one right? Yes, I agree. People want to know what is your video about. And, I think a catchy title like the way we do headlines on articles would be good, too. Totally agree Lorii. It’s good to let people know what the video is about to save your time and theirs. Yes Alene I can’t wait to see what you produced. You’re most welcome Lori. I love how you take the information and apply right away. Good luck!